The 28-year-old Parker convincingly plays 19-year-old Marie Allen, given a one-to-fifteen year sentence for accessory to an armed robbery during which her husband was killed. The mousey Marie is indoctrinated, given a number (Prisoner #93850), and poked and prodded by staff, who discover Marie’s two months pregnant. 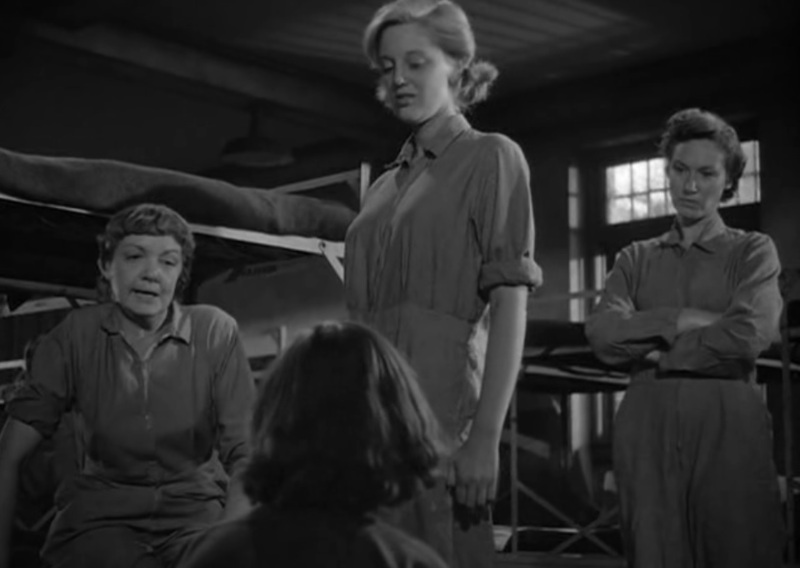 Marie is given light duty by the prison-reform minded superintendent Ruth Barton, but sadistic old-school ward matron Evelyn Harper has other plans. Marie’s first night inside the walls is a frightening experience for the youngster. She’s befriended by three tough street chicks led by Kitty Stark, boss of a shoplifting gang who wants to recruit the kid when she gets out of stir. When fellow inmate June is denied parole, it’s Marie who finds her hanging during the night, causing her to go into shock and give birth prematurely. Her mom refuses to take the baby, then she’s denied parole, and a switch flips inside Marie’s head, turning her as hard as the veteran cons. Tensions flare when Marie finds a kitten outside the prison laundry and takes it in, and a catfight over the cat between Marie and Harper escalates into a full-scale riot! Marie is given three days in solitary by Barton, but before serving the cruel Harper shaves her head. Kitty, who’s spent a month in solitary enduring beatings from Harper, gains justice of her own in a swift and vicious stabbing of the matron in the cafeteria, as Marie cheers her on, yelling, “Kill her, kill her”. Prison life has changed Marie, but not for the better, and the final scene has Barton resigned to the fact that she’s failed, and Marie will be back. 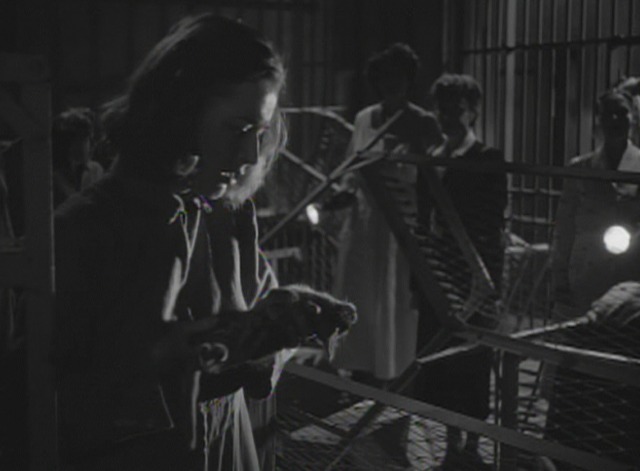 Parker was justly nominated for an Oscar for her performance, as she transforms from young innocent into hardened criminal during the course of the film. Also nominated was Hope Emerson as the sadistic Harper. Emerson’s 6’2″, 200+ pound frame make her an imposing physical presence, and she’s about as mean as a prison screw can get. Neither actress won – Judy Holliday picked up the statuette that year for BORN YESTERDAY, while Josephine Hutchinson won for HARVEY – but a case could certainly be made for them. 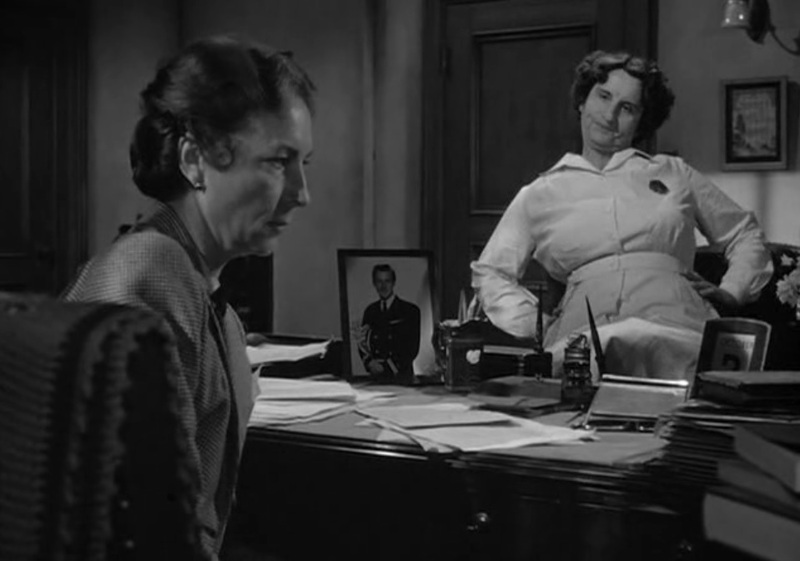 Agnes Moorehead’s part of reform warden Ruth Barton also deserved Oscar consideration. Her battles with bureaucrats and the disrespectful Harper (who treats the inmates like pond scum and constantly refers to them as “ya tramps”) highlight the differences between rehabilitation and punishment, battles that are still going on today (and as someone who once worked inside the prison system, trust me on that). The film gives an impressive cast of women the chance to shine: Betty Garde is the hard-bitten Kitty, Lee Patrick her rival “Vice Queen” Elvira Powell, Jan Sterling the CP (that’s Common Prostitute) Smoochie, Ellen Corby a nutty husband killer, Gertrude W. Hoffman the wise old lifer Millie, Olive Deering the doomed June, and the tragic former star Gertrude Michael as the haughty Georgia. Other Familiar Faces behind the walls include Don Beddoe (as the political hack prison commissioner), Jane Darwell , Marlo Dwyer, Sandra Gould, Esther Howard , Sheila MacRae (billed as Sheila Stevens), Queenie Smith (as Marie’s mom), Amzie Strickland, Nita Talbot, and Ann Tyrell. 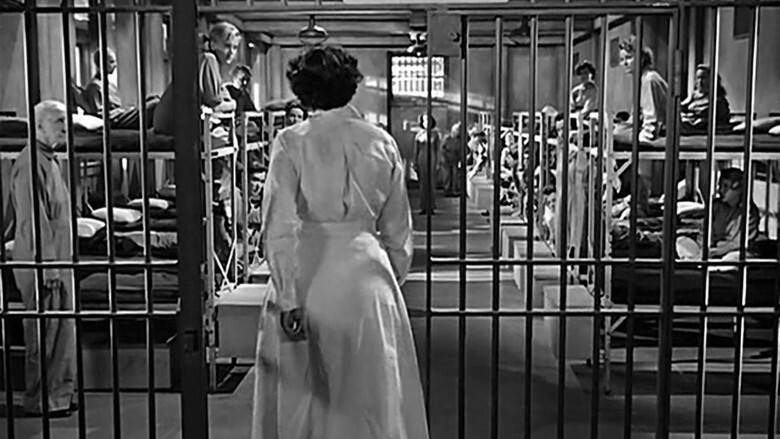 CAGED’s tougher-than-the-soles-on-a-streetwalker’s-feet screenplay is by Virginia Kellogg, who wrote the story with Bernard Schoenfeld (both were Oscar nominated). 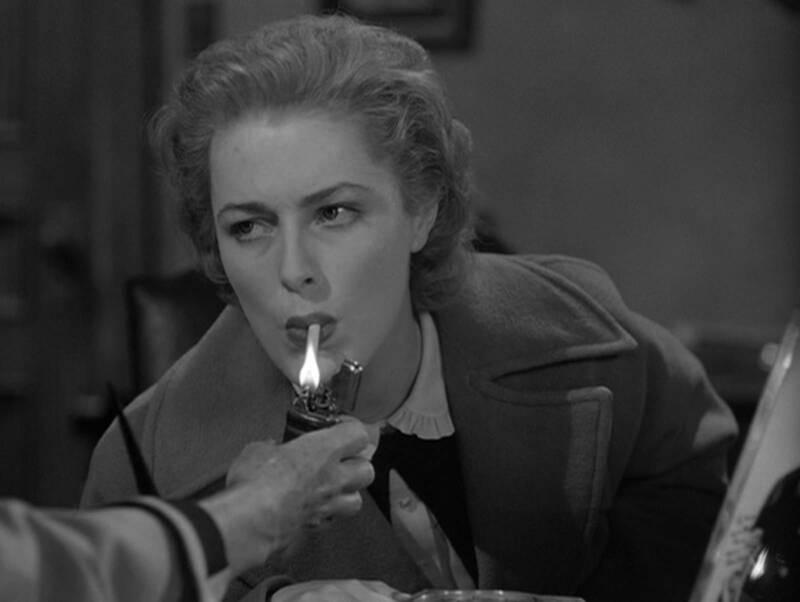 Kellogg, who wrote the stories for the tough films noir T-MEN and WHITE HEAT , was a former reporter who used her contacts to go undercover as an inmate in four different prisons to do research on the subject. The result was this knockout of a movie, as realistic a look at prison life as was possible for the time. The bleakness of doing a bid behind bars, the corruption that still goes on, and the dehumanization of people contributes to the high recidivism rate experienced even today. 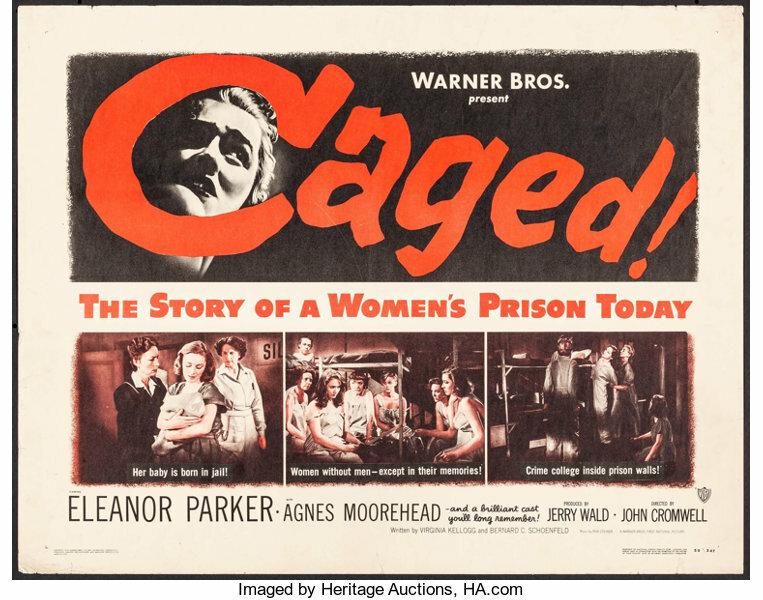 The women of CAGED are no saints, not by a long shot, but their treatment here offers no hope for redemption, just a revolving door for those tagged as social outcasts. 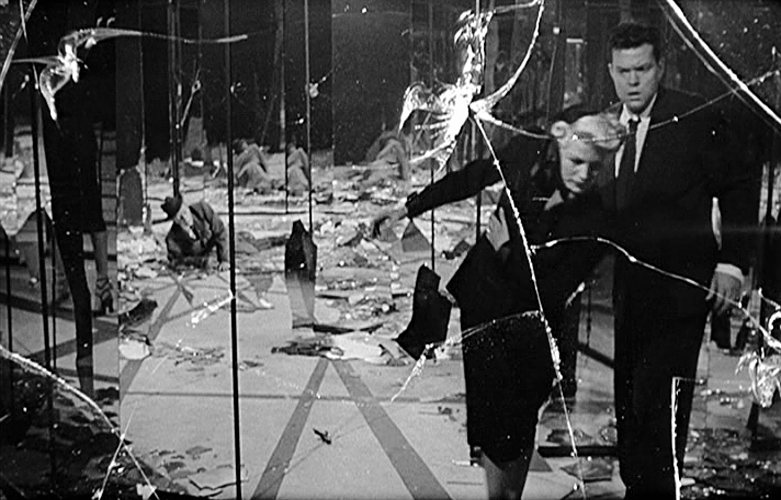 It’s a film that is still relevant today, and a film noir you don’t want to miss. 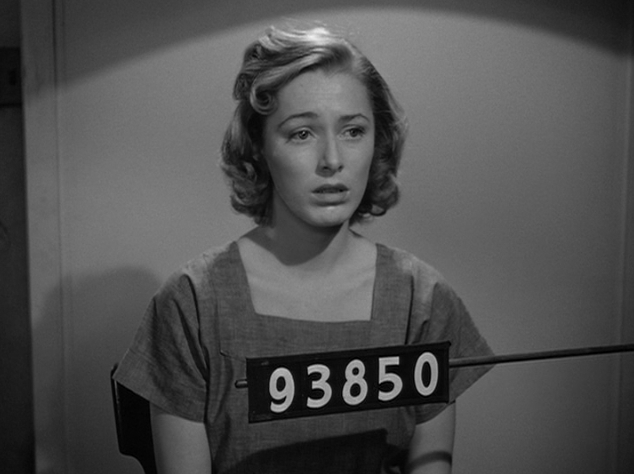 Long before “Orange is the New Black”! I have never seen this one, it sounds good! A real dark masterpiece, Christine! I loved this one too Gary. Top marks bro, great review. I know she’s mean but I really liked Hope Emerson. Her chomping on her chocolate bribes in her room was a great scene. Everyone played their part perfectly. SUCH a good film, with perfect casting. I’m glad you reviewed “Caged” because it deserves to be more well known.